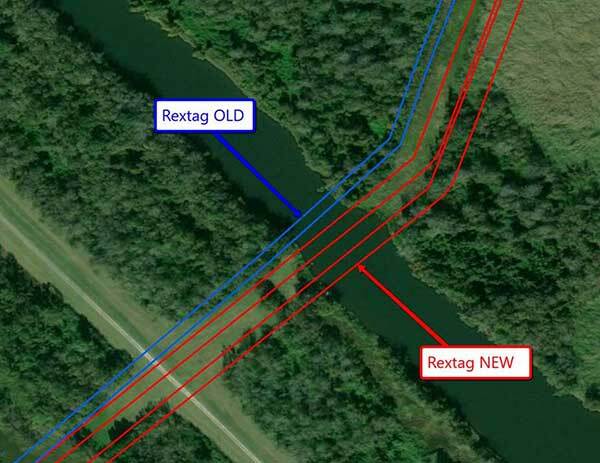 As promised, the latest Rextag GIS Data Update has been released. Here are some of the highlights and some examples of what you will find in the overhauled first update of 2019. 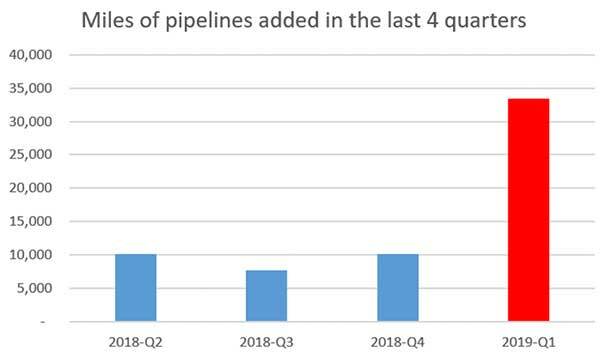 Our team has added more than 33,000 miles of digitized pipelines to this update, possibly the largest update in pipeline mileage in many years. On top of this major mileage addition, more pipeline mileage is scheduled to be digitized and to be included in the next updates. Our team added new diameter values to more than 25,000 miles of pipelines, with more expected to be added over the next year of updates! In addition to changes and updates to the current attributes, we have added information on numerous facilities (Terminals, Processing Plants, etc.) and we have changed and improved the data attributes and values to the existing records. Furthermore, we are planning to make updates to our facilities data layers a major focus of our GIS Data Update process in 2019. To our clients in the finance industry, you would be glad to know that our team has added financial reports on publicly traded companies in the U.S.—along with information on their stock symbols and marketplace. 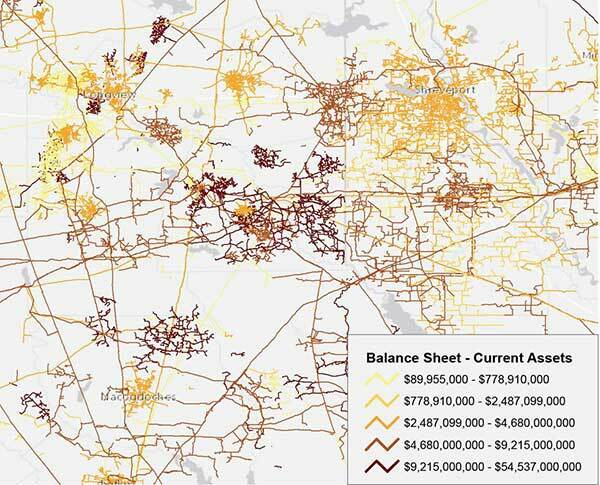 The financial tables will be maintained and updated on the same schedule as our GIS data and they will contain information obtained from companies’ public filings. An example of potential use of this data: to visualize pipeline owner’s asset values as reported on a company’s balance sheet. We have improved the spatial accuracy of tens of thousands of digitized pipeline miles! Further spatial improvements are planned over the next few months. We have expanded the number of data attributes to house more information we consider of significant value to our data users. Some of the attributes may appear “empty” at first, but fear not! We will be filling it the blanks in future updates.